Christopher Jarman has 20 years professional music industry experience which has led to a variety of musical personas across many genres as Kamikaze Space Programme, Dot Product and Raiden. He has amassed over 150 vinyl releases and regularly performs at many of the world’s most infamous venues. As Kamikaze Space Programme, Christopher releases techno music on Luke Slater’s Mote Evolver label, Bas Mooy’s MORD and Simon Shreeve’s Osiris music. He is a regular DJ at Berghain, Tresor and regularly tours, playing at the most respected clubs all over the world. KSP’s music is made up of myriad samples, found sounds and white noise from real world situations, it lends the stuff a very real texture and aesthetic that links it to the here and now, the everyday, in a very real way. As Dot Product, Christopher and a colleague have made a name for themselves creating experimental and improvisational music based on recording sounds normally imperceptible to the human ear. As this act they have played on the main stage at the prestigious Atonal festival in Berlin as well as creating music for IMDB listed films, the British Film Institute and projects with the BBC Radiophonic Workshop as well as 2 album releases. 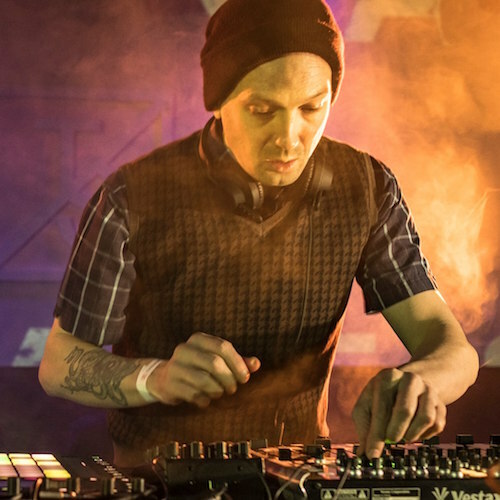 In the past Christopher released music Raiden and became a major player on the worldwide Drum and Bass scene, signing to Renegade Hardware plus releasing tracks for Hospital Records and his own Offkey and Voodoo labels. He amassed almost 100 vinyl releases under this moniker and across 10 years travelled to locations all over the world to play his music and has remixed some of the most well known dance music tracks in history. He has been featured in a variety of worldwide music press articles and contributed a production masterclass film to the popular Computer Music magazine cover disc, has ran 2 successful record labels and a mixing and mastering company. Christopher’s knowledge and experience combine to make him a truly unique prospect both as a musician and educator His pure enthusiasm is infectious for students and his experiences out in the field of the music industry make him a credible source of both information and inspiration.